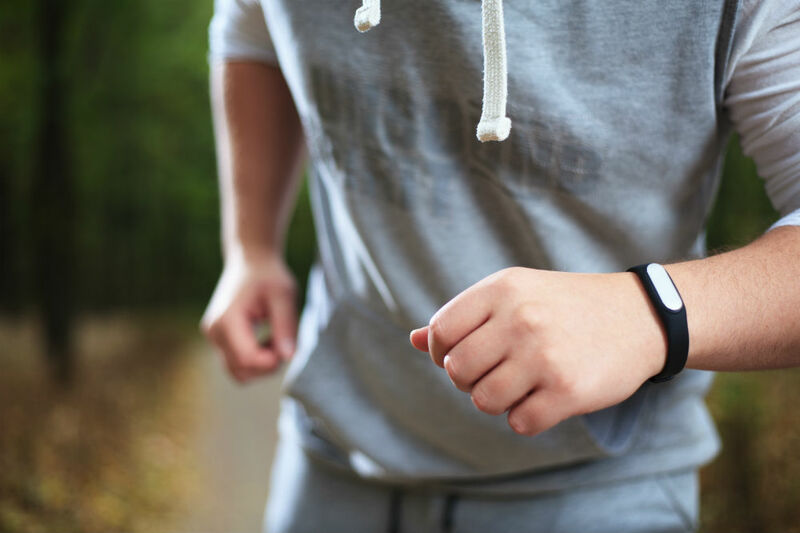 Getting a fitness tracker is one of the best decisions you will ever make if you intend to shift to a healthier lifestyle. How many steps you have taken, how many calories you have burned, and even how much sleep you are getting are just some of the data that a fitness tracker can provide. Today, we are reviewing how well the Letscom Fitness Tracker HR, in particular, can help you get and stay on track. It has a slim and sleek design with an interchangeable strap in blue, gray, purple, coral, green, or black. (Extra straps sold separately). Lets you charge without bringing a charging cable with you, and it holds a charge pretty well. It provides whole day tracking for some things, including heart rate, sleep, active minutes, steps, and calories burned. It comes with extra, dandy features such as SNS, SMS, and call alerts. The three, in particular, let you leave your phone in your purse once in a while. Another important alert it provides is for you to get up and move, which is especially helpful when you live an unhealthy sedentary lifestyle. The sleep monitoring feature differentiates between light and deep sleep. It turns on automatically. No need to press any button to see the display. The price is good. It’s a very affordable fitness tracker that can do a lot of things. The user manual is quite difficult to understand with several typos and grammatical errors. You can barely see the display on the screen when you’re outside, especially when the sun is out. You can only have one watch synced to the app. Design: The Letscom Fitness Tracker HR is a slim, sleek, and lightweight fitness tracker that fits well wrists measuring 5.4 to 7.6 inches. Its lock feature is tight and reliable, so you wouldn’t have problems with the watch coming off every so often. Another excellent design win for the watch is that its straps are interchangeable. You can buy the watch in a basic black, blue, or gray color, or get some color pop with a purple, coral, or green strap. Fitted with a wrist-sense technology, it automatically grants you access to time and date info. And with a swipe of your finger, you can also look up your fitness stats, such as heart rate and steps. Aside from the basics you get from a fitness tracker, this product tells you how much sleep you are getting, differentiating even between deep and light sleep. It also comes with a silent alarm to wake you without waking others up, a sedentary alert to remind you to get up from your seat once in a while, and remote camera control for selfies or groupies. And knowing that parting with your phone during your workout can distract you with thoughts of missing out on an important call or text message, this fitness watch sends you notifications from your phone for calls and messages. On top of that, it also shows you alerts from other apps such as Facebook and Twitter. Another design win for this fitness tracker is its built-in plug for charging. This means you don’t need to bring a dedicated cable charger or adapter for it. Directly plug it into a USB port to power up. Performance: Connecting the fitness watch with its app is pretty straightforward. Simply download the app, connect the watch to your phone via Bluetooth, and you are set for a round of tests. It would have been nice though if the app can support more than one watch. As for the touchscreen, it is quite responsive. The only problem with regards to the screen is that the display can be bleary under the sun. As for the most important aspects which are the fitness stats, they are somewhat accurate. If you give the watch a snug fit around your wrist and sway your arms when you walk, you’ll get a pretty accurate step count. Another aspect that you’ll love about this product is the power charge. The watch holds a charge quite well that you only need to charge it once a week on average. Price: The fitness tracker by Letscom is a steal for its price. Selling for only a quarter of the price of more popular fitness trackers, it performs just as well as, if not better than, they do. If you’re happy with what this slim fitness watch can do, but you prefer a round-faced watch, Letscom also offers a round-faced version. They are available in black or blue straps. It sells for a slightly higher price tag but comes with an additional feature of tracking your blood pressure. Whether you are looking for a fitness tracker for keeps or just to try the fitness tracking idea before you invest in a more expensive one, this Letscom fitness tracker is a good choice for its price. Aside from providing you with the essential data for your fitness journey and conveniently sending them to a complimentary app, the tracker comes with the bells and whistles that you may find handy such as the SNS, SMS, and call alerts, and silent alarm. Once you’ve tried out this fitness watch, it won’t surprise us at all if you’d show a preference for it over other expensive brands.